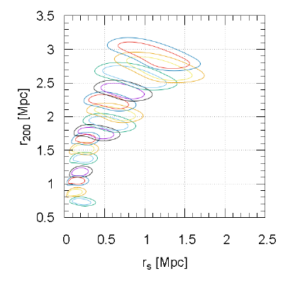 The gravitational slip parameter is an important discriminator between large classes of gravity theories at cosmological and astrophysical scales. In this work we use a combination of simulated information of galaxy cluster mass profiles, inferred by Strong+Weak lensing analyses and by the study of the dynamics of the cluster member galaxies, to reconstruct the gravitational slip parameter η and predict the accuracy with which it can be constrained with current and future galaxy cluster surveys. Performing a full-likelihood statistical analysis, we show that galaxy cluster observations can constrain η down to the percent level already with a few tens of clusters. 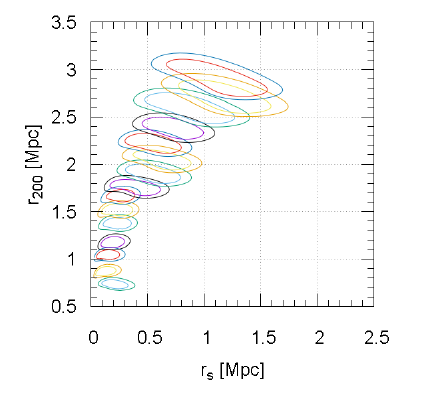 We discuss the significance of possible systematics, and show that the cluster masses and numbers of galaxy members used to reconstruct the dynamics mass profile have a mild effect on the predicted constraints.